Undisturbed and pristine best describes Bhutan’s natural environment. This has been possible because of the country’s Constitution stipulating that Bhutan should maintain 60 percent of forest coverage for all times to come. Presently, 72 percent of the country is under forest cover. Total protected areas alone total up to 43 percent, comprising five national parks, four wildlife sanctuaries and one strict nature reserve. Bhutan’s forest boasts of having 7,000 vascular plants, 360 species of orchid, 46 species of rhododendron, and around 500 species of medicinal plants. The country is also home to around 770 bird species that include 16 globally threatened species. Rare and endemics species like the golden langur also roam free in the jungles of Bhutan. 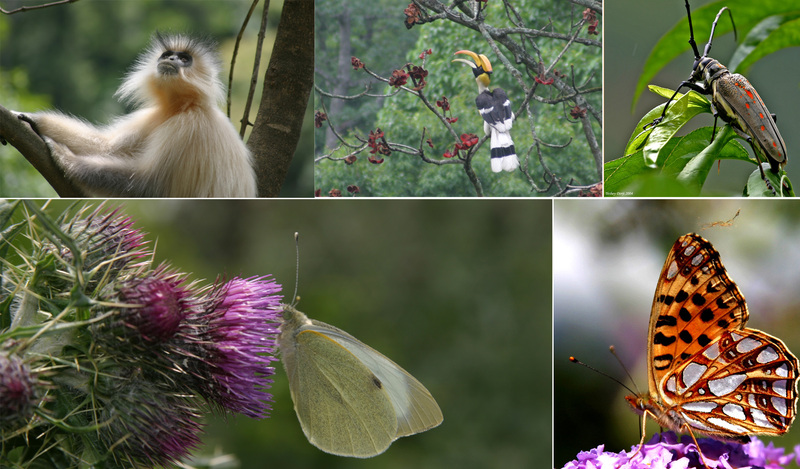 Bhutan is, indubitably, a true biodiversity heaven for nature lovers and environment specialists.